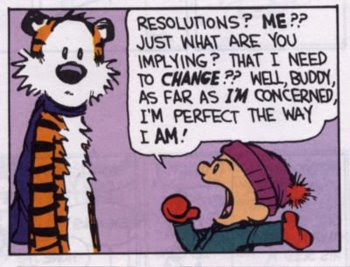 The Tao of Gini: Resolutions, anyone? Gini: This blog post is wonderful and I love you for keepin it real! I am excited to hear about a Herbst annual visit back East! I miss you guys. I think in 2009 you should resolve to cut yourself some slack - you are a great wife, mother sister and friend, and we wouldn't have you any other way. Well, except 3,000 miles closer! Shoot, I hate it when I screw up my punctuation when I post! Gini.. Thanks for keeping it REAL!! In closing 2008, a year full of change, struggle and despair.. A year in which we heard stories of lost jobs, homes and friends.. a year that we ALL found ourselves wondering what happened and could we keep going forward.. We should all remember the most important thing, the most valuable asset we have is family and friends... I wish all my family and friends a very good new year. A year full of appreciating what we have.. and not worrying about what we do not have.. In closing, Happy New Year to my family.. and to my friends.. I wish us all good times and laughter. Gini - we share many of the same values and I love that I have become addicted to your Blog. Well said - from beginning to end, could have written it myself - been trying to, in fact. I like you Gini! I only wish we would have had more time to get to know each other better, cause I like the way you think! Hope you have the best New Year celebration and that 2009 brings even more laughs and living. Good post, Gin. Happy New Year Everyone! Just now reading this post...Wow thanks, I feel the same way. Happy New Year!